In this revised edition of their bestselling book, the authors provide a comprehensive character education framework designed to help primary school administrators, educators , and concerned citizens organize, implement, and assess character education programmes in their schools. The authors propose many new ideas, suggestions, and promising practices that may be personalized to fit the needs and interests of a school, community, and children and youth. These include tips for leaders on how to involve all stakeholders and how to reach consensus, steps for developing a values curriculum, and strategies for instruction and staff develoment. "This new edition provides immediate help to all who work to improve our public schools." 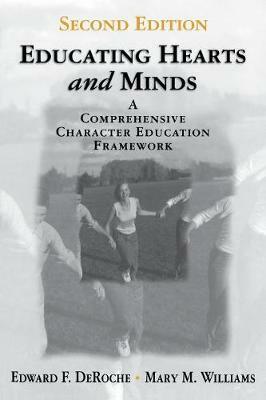 "A great resource for teaching that character matters in furthering the ideals on which this country has been built!" "The `soil' of our schools has lost a nurturing ingredient that is essential to give life to the ideas and the efforts of educators. That missing nurturing ingredient is the school's moral mission . . . DeRoche and Williams have written a sound and practical book not only for educators but for anyone interested in learning exactly how schools can navigate these often shoal-filled waters." -- Kevin Ryan, From the Foreword, "Educating Hearts and Minds, 2nd Edition"